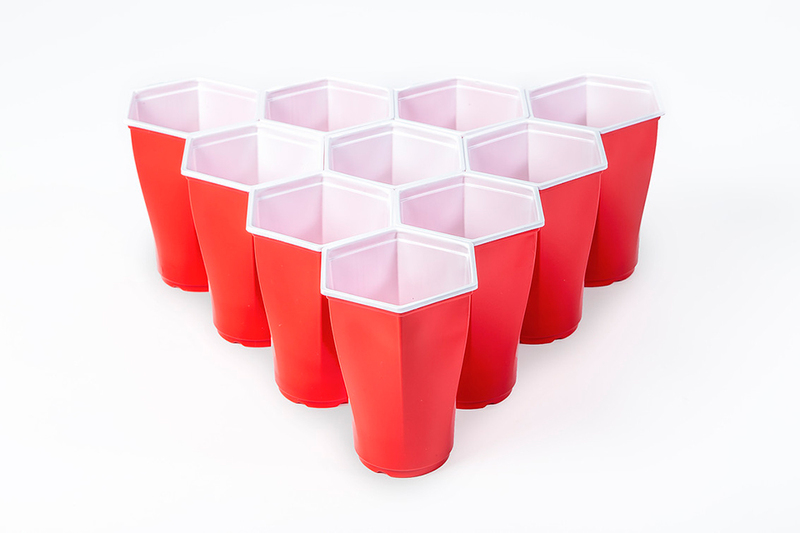 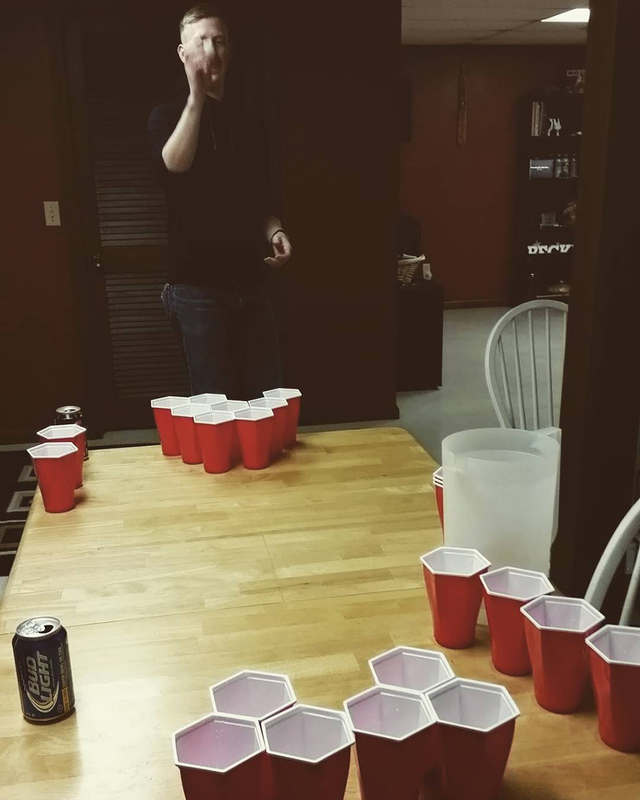 Hexcup is a beer pong set that uses hexagonal cups, making it easier to set up even oddly-shaped racks. 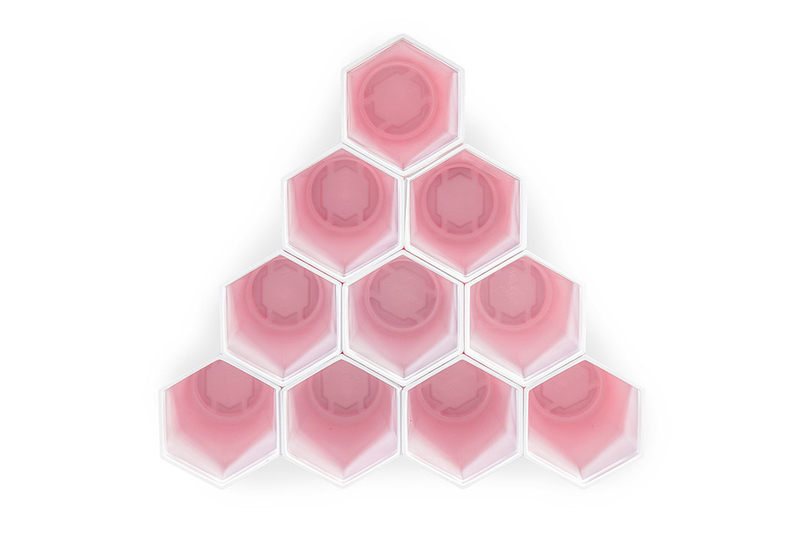 The cups are dishwasher safe, have reinforced corners and have grooves on their base so they won’t slip easily. 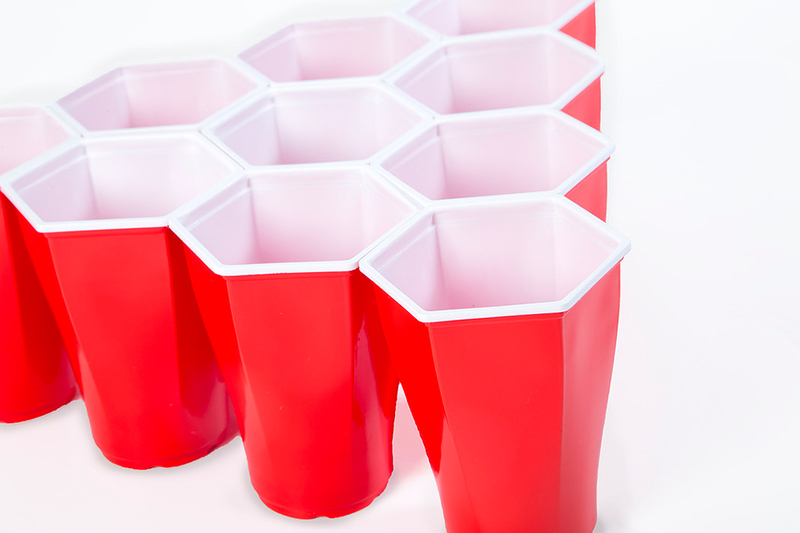 Each set contains 22 cups and 3 balls.